Winner of the 2008 ADS Container & Boder Dahlia of the Year Award. 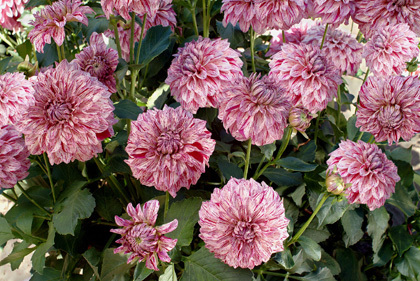 This dahlia has performed well across the country for three seasons straight. Requires minimal or no staking, and the blooms absolutely cover the plants. Very easy to grow. Developed by Ron Miner of Chagrin Falls Ohio, former President of the American Dahlia Society.